The football field of Greybull, Wyo. 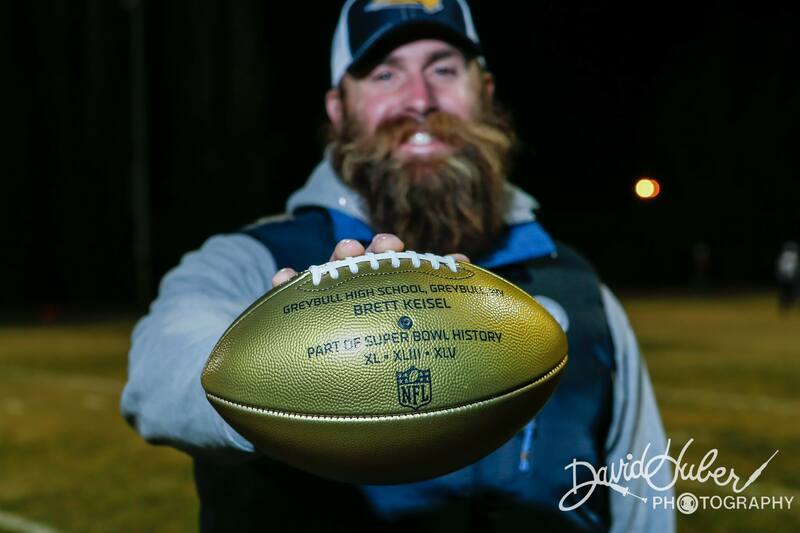 Brett was honored to be able to present Greybull High School with the Golden Football through the NFL’s Super Bowl Honor Roll High School Celebration. As part of the nationwide kickoff to the Super Bowl 50 celebration, the NFL launched today the Super Bowl High School Honor Roll initiative recognizing schools and communities that contributed to Super Bowl history and positively impacted the game of football. Brett got the crowd going with his great speech. 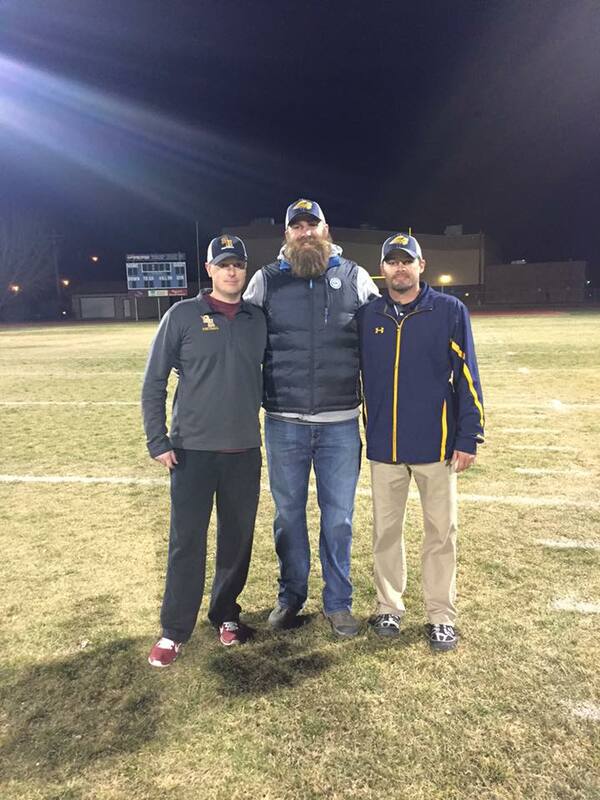 He was also at the game to watch his two nephews, Gabe and Zack play in a first round playoff game against his good friend, and former Greybull teammate, Michael McGuire. 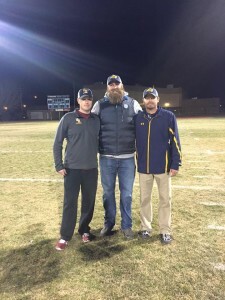 Also, another good friend and former Greybull teammate, Jeff Hunt coaches for Greybull High School. Brett’s nephews, playing for Greybull High School, got the win 27-25! What a great evening back at my high school stomping grounds! 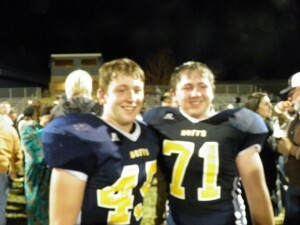 It was so fun to see so much family and spend that time cheering on my grand nephews, Zack Keisel and Gabe Keisel! Watching another nephew, Brett Keisel, make a Golden Football presentation to the Greybull Football team was really cool!! Good times! What a beautiful night for football. Perfect weather with just a little crisp in the air. It was an epic battle between two great teams. I’m sure proud of our BigHorn Rams team. Definitely overachieved this season. It was great to see so many family, friends and former coaches at Greybull and fun to watch two grandnephews battling on the gridiron. Proud of Gabe and Zack Keisel. Good luck at Wheatland! Sure was awesome to watch my nephew Brett Keisel back on his (and mine) home turf to present his NFL Super Bowl golden football to Greybull High School. Stay tuned for many more photos! Thank you so much to Brett’s great family and friends for all the wonderful photos. Also, a big thanks to David Huber Photography for graciously allowing us to use his amazing photos. 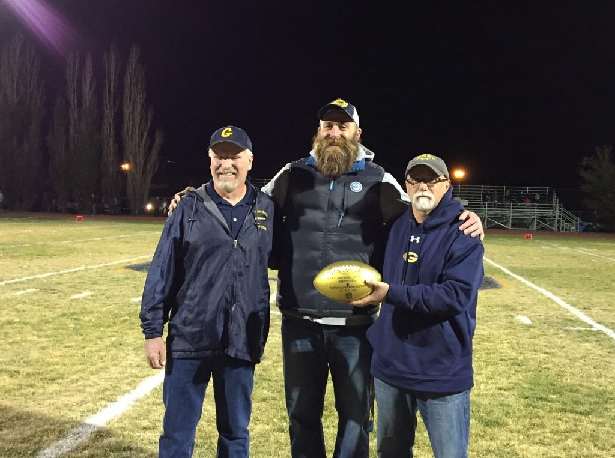 And, of course thank you to everyone at Greybull High School and the NFL for making this event possible.